I love incorporating metallic elements into my décor, especially during the holidays. 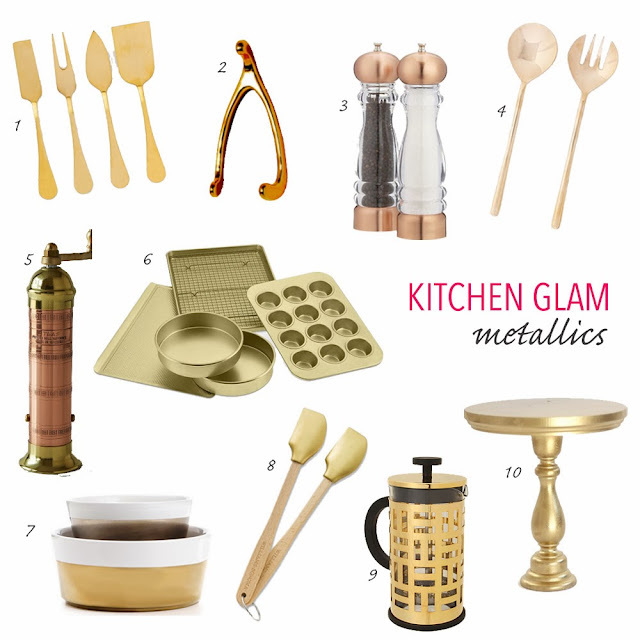 Metallics are festive enough for the season but can also be used year-round, so they make a great investment. Below are some options to consider for your own kitchen or to give as gifts for the cooks, bakers, and hostesses in your life.